French Oil Mill Machinery Co. offers a wide variety of reliable French and TMP hydraulic press designs and tonnages to accommodate your needs. 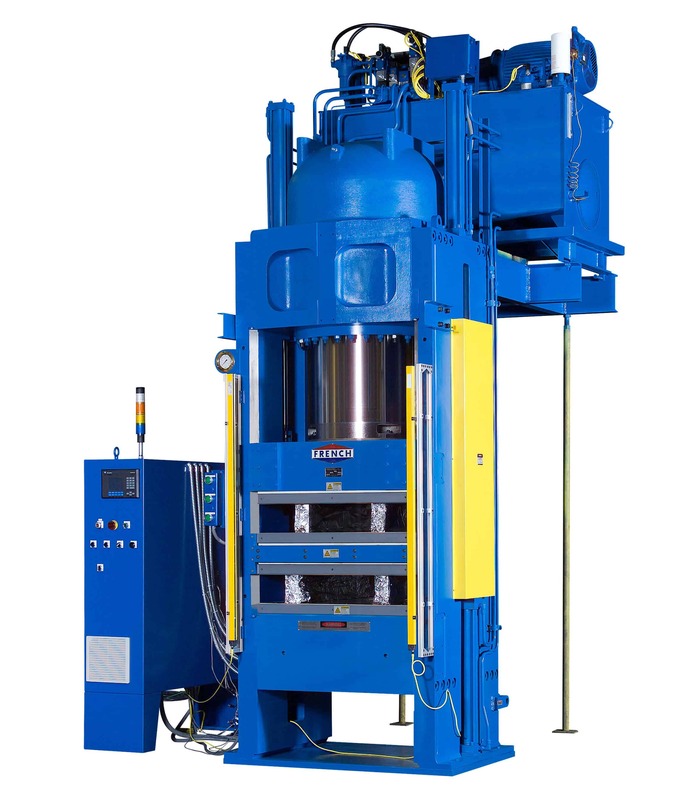 Our hydraulic presses can be designed with capacities ranging from 20 tons to 2,000 tons. Common sizes request include: 30 ton, 200 ton, 250 ton, 300 ton, 400 ton, 450 ton, 500 ton and 1000 ton. Every French and TMP hydraulic press design has a well-deserved reputation for ruggedness and reliability, so you can be sure your chosen solution will last a long time to come. 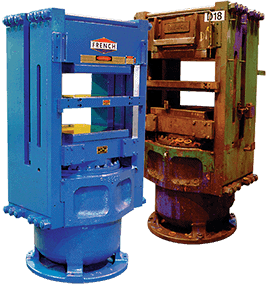 Learn more information about our hydraulic press services. All French and TMP designs and hydraulic presses incorporate highly dependable hydraulic and electrical systems and low deflection. These and other design features employed in our designs not only extend the life of the press, but also produce more consistent and higher quality parts. They contribute to the lowering of production costs by reducing scrap rate and post-handling requirements. French also offers a three year limited warranty, which is three times longer than the industry standard. This dependability helps reduce total life cycle costs, while improving overall profitability.